Hotel could do with being completely renovated, slightly shabby and tired. Saving grace was hotel staff, who were very friendly and helpful. No problem getting drinks from bar, even two teenage boys were served quickly. Food in the restaurant was OK, problems with queuing to get into the restaurant, then had to queue to get food. Breakfast was the best meal with lots of choice. Lunch and dinner was a bit hit and miss. Hotel entertainment staff tried hard but too many silly games and not enough professional acts. What threatened to spoil our holiday was the rudeness and mess caused by some of the other guests. Hotel was very popular with Spanish, vastly outnumbered English. Lots of screaming out of control toddlers, pushy mothers with prams and rude men who would push you out of the way. Also groups of feral Spanish children would wander round the hotel damaging the pool tables. The Spanish guests would load their plates up with food, drop most of it on the floor. Sunbeds and parasols were locked up till 10 am and Spanish families would reserve them, then disappear till 4pm. We used the hotel as a base, spending lots of days out either at Terra Mitica or Aqualandia. Otherwise our two teenage boys would have been very bored. We did enjoy our holiday. We had previously stayed at the Flamingo Oasis in Benidorm. I would never come back to this hotel again, not even if it was free! I have worked hard all year for my holiday and this holiday was hard work, being told you can not check in to your room till 5pm (hotel policy) by reception is not my ideal holiday if you have traveled with children all night. The rooms are okay, we agree about youths causing problems here and one tried to drown my 10 year old son in the pool. This hotel animation team is mostly catered for Spanish guests and their dogs, no fun for UK families here. Their is nothing for our children to do , no internet, or computer games, And if you love your food- very long lines at meal times- Awful... Awful... Awful. The hotel (faulty towers) is at the end of the resort, 30 minutes walk to the beach. We have been back a week and feel so flat about this holiday please choose something that is value to your hard working money, a holiday is a one time a year jolly. the hotel itself was comfortable, clean but old. we were all inclusive and the food was adequate, uniteresting but adequate. weather was great. what bothered us was the lack of atmosphere on the part of albir and more over in the hotel. no animation team and the acts hardly worth sticking around for. The only singer to look out for was Jon Silver, very talented chap and so good at creating a high spirited evening. We stayed at the Albir gardens on a half board basis as we received an upgrade because the hotel was overbooked (found out the day before departure) so had to stop in Benidorm one night. It was a cheap holiday and frankly it's true that you get what you pay for. Check in was efficient. The apartment itself was small and grubby. The beds had seen better days with the mattress having some very unusual stains on them!!! The kitchen was cramped with a fridge that looked as if it had never been defrosted all year - ice compartment would not open. There was no kettle and not enough cutlery, plates etc to go round. The patio was not big enough for 4 people. The bathroom was adequate if tatty, with a powerful shower. The cleaner came in on a daily basis and had a sweep round. Towels on three occasions were taken away and not replaced and when I went to ask for more they had run out on 2 occasions. The block that we were in had dogs in other apartments; at times the noise of barking was a nuisance. The food in the restaurant was good but boy were the waiters bad. They totally only care about the Spanish and one day at breakfast we were told we could not sit outside because it had rained in the night and was wet. However 5 minutes later a group of Spanish people were told that they could sit there. That evening we left our table to get our sweet and our half bottle of wine and a handbag were cleared away by the waiter in the time it took. When I asked what had happened I was shouted at. All the Spanish around the vicinity started laughing. The Spanish themselves push and shove all the time, take excessive amounts of food which they leave or throw on the floor. If you want to use the restaurant go early for all sittings before the Spanish get there. The pool was nice but the pool area was not kept clean throughout the day. Entertainment was a bit like Spanish Hi di Hi. All in all from my experience - don't go there unless it is very very cheap. Returned from a weeks holiday at Albir Gardens on 7th July, and to be honest, was happy to leave the place. To be fair, I should, at the outset, inform that we have never stayed at such a large complex before, so my feelings on the place are perhaps a little driven by this fact, but there's still no disguising that it was not a completely pleasant holiday experience. The transfer from the airport was approximately 40 minutes, with ours being the first stop. On arrival, we were dealt with efficiently, by the reception staff, who were courteous and friendly. We were allocated room 109, in Block I, which was a ground floor apartment, despite my request at the time of booking, and indeed a phone call to the hotel 4 days before we left, that we be put in a top floor apartment. We went back to reception immediately and asked to be moved, but were told that this was impossible, as the complex was totally full. This actually was not true, but I will return to this later. The one-bed apartment itself was clean on arrival, but was disappointingly small and tired. In talking to another family, we found out that their block (H) had been refurbished, but ours obviously hadn't. The kitchen units were very old and the bottoms were manky, due to water penetration over a long period of time. What we originally thought was a microwave, turned out to be an overly large grill, which was riddled around the edges with rust. As others have already said, pans etc were limited. There was a new fridge, although the seal on the door was not great and consequently, our first job was to mop up puddled water over the bottom of the fridge and on the kitchen floor. The bathroom was even worse... cracked and broken tiles were evident and the grouting had disintegrated and was in fact non-existant around the bath, where a shower would mean water getting down behind the bath... goodness knows what it was like behind there! Additionally, closing the door was an adventure in itself, as the handle would sometimes fail to open the door properly, and on a few occasions, we had to "rescue" our boys, who were "locked in"! The main living area is very small and to be honest, would have been more suited to a couple with one small child. The small area was further compromised by a large dining table and 4 chairs and a coffee table. There was a TV, which provided about a dozen channels, mainly Spanish, but also with Eurosport and Sky News. The balcony was small, but somehow they managed to fit a small table and 3 chairs on it, however, only 2 people could practically fit comfortably. This overlooked a garden area. My fear was that it provided a bit of a security risk, as it could easily be accessed by simply climbing over the rails, which my kids did easily on many occasions, to play ball in the garden. The apartments' location means it is very noisy. Being right by the front communal door, which was opened and closed constantly and people running up and down the stairs. It was a particular pain after midnight, when the "entertainment" stopped and there would be people coming back, some of them the worst for wear, talking loudly, when we were trying to get to sleep. Then we would get the dragging of furniture across the ceilings above, as people got the portable beds out etc. One consolation, was that our apartment at least had air conditioning, which was very welcome during the day. The remote control for which, was available from reception, for a refundable 20 euro deposit. Safety deposit boxes are also available for hire and are situated in the reception area. These work out at about 10 euros for the week, plus an additional, refundable 10 euro deposit. Finally, and extremely annoyingly, the cleaners NEVER visited our apartments during the whole week that we were ther! NO towel changes ... NO sheet changes and NO cleaning... NOTHING! There are 3 pools... one paddling pool, one medium depth saltwater pool and one deep conventional pool, (the shallowest area being 1.54 metres). Despite there being in excess of 400 apartments on the complex, I counted just 15 parasols. Typically, by 8.30am, these are already "reserved" by towel, as seems the norm these days, unfortunately! Poolside, there is a bar and also a snack bar, serving, hot dogs, burgers, chips etc. There is a large restaurant on site, servicing all meals. We only had breakfasts in it, which cost 5.5 euros for adult and 3 euros for children. There was plenty of variety, and couldn't really be faulted. People that we spoke to who had eaten lunch and dinner there, were satisfied. Here's a tip for you though .... we got friendly with a couple on the flight there from Belfast and on the second day, they enquired about going all-inclusive. They were offered, and received, all-inclusive for 6 days (Monday to Sunday) for two adults and two children (aged 12 and 11) for 185 euros, total... that's just 31 euros per day for a family of four!... all meals, snacks, ice-creams and drinks from 8am to midnight! The bar area is suitably large and contains a couple of pool tables and machines and a suite of internet stations. Unfortunately, during the entire week, it was filled from morning to night with Spanish agents and customers on timeshare trips. I would say that there were about 60 people at any one time, walking around the complex in groups of 5 or 6 and viewing empty apartments (presumably the refurbished ones that we were denied), then retreating to the bar for the hard sell. There are car parking spaces available around the complex for the independent traveller, or for those hiring cars. As I mentioned before, the complex staff appeared helpful and friendly at all times. However, a big let down, is that the foreign guests come second compared with the Spanish holidaymakers, which, I would say, made up 80% of occupancy while we were there! Examples would be that, despite us queueing to see a receptionist, the Spanish would simply jump the queue and walk up to the front, to be immediately dealt with. On one occasion, a receptionist walked away from an Irish woman in the middle of a query, to deal with a Spanish queue jumper... appaling. It was the same in the bar. On one occasion, my 2 boys had booked an hour on the table tennis table and after 20 minutes, 3 Spanish boys had come over and tried to bully them off, banging on the table and generally trying to make it impossible to play. I went over to see what the problem was, and one of them told me that Reception had said they could play... I told them to clear off, but they continued to skulk around, very close to the table, putting my boys off. On the whole, the Spanish holidaymakers themselves were rude and strutted around the place like they owned it. Having said all the above, my kids pretty much enjoyed the holiday, due largely to teaming up with a couple of likeminded kids. Nonetheless, we certainly wouldn't go back to this resort, or more particularly to the Albir Gardens ... it's just not for us! I will be very honest here and say I have never felt so unwelcome on holiday as I did here. We arrived at reception and the staff there were quite efficient although not friendly, we were given room 308 a third floor apartment in block e despite requesting a low floor as my wife suffers from a bad back and is registered disabled,I asked any chance of a ground floor apartment but was told that they were fully booked(not true). When we got the apartment we found it very small and grubby, the kitchen had seen better days and you couldnt swing a cat out on the balcony. There were 3 pools which by and large were clean but the sunbathing areas around them were not very clean, they were hurriedly given a quick brush over first thing in the morning but when the area becomes busy the rubbish starts to mount and nobody is around to clean up.One night we had a late night chatting to some Irish friends but because the bar had closed we couldnt take our glasses back so we had to leave them, the following day as I went to get a drink from the bar I noticed the table still full of empty glasses and it was midday. The bar area is suitably large and contains a couple of pool tables and machines and a row of internet stations.This area was so busy, alot of it from people selling timeshare from morning till late at night. Getting served at the bar was a nightmare waiting 10 minutes to get served while the Spanish holidaymakers just walked up and got served and that I think is one of the things that spoilt the holiday, the spanish holiday makers were just so rude and ignorant,if you opened a door to let them through they just looked at you as if to say well you should be opening that door. Now I dont speak Spanish but I always thought a smile was universal but not in this place.I dont want anyone to think that I am against the Spanish, I have been to the canaries lots of times as well as Ibiza and Majorca and found the Spanish holiday makers I have met to be very nice, but here just so unfriendly. The thing that made the holiday bearable was that we met some lovely Irish families and that meant that our son had kids his own age to play with. I was told that at one time the Albir Gardens had a fantastic reputation as clean fun place for all, unforunately that is no longer true and I for one would never go back. 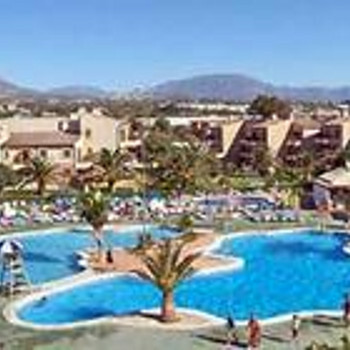 The Albir gardens are set in one of the best settings around.The greenary mixed in with the accomodation really sets your holiday of to a good start. The staff were very helpful and always greated you with a smile. The rooms could do with a bit of a face lift but still they were clean and inviting. The pool was huge and had a small part for the toddlers. The staff were cleaning the grounds almost constantly,keeping it tidy and trim. Came back from Albir gardens last week. On arrival the hotel looked impressive, we checked in which all went smoothly and we were told we were in G block, out the main door and follow the road round, its 11.30 am and its 35 degrees we have been up since 1am. That was a bit of a treck. The apartment was quite small but it was clean and after all we were not planning on staying in there all day. The pool was excellent more sun beds than guests and for the first time ever the pool tempreture was not cold so it was easy to jump in. Opposite the hotel was a supermarket, this was very clean well stocked, well priced and sold really fresh and very good fruit and veg. Close to the hotel were a few shops and bars, the centre of Albir is about a 20 min walk away and well worth going to see but although having evening dinner overlooking to med sounds very nice we found that the service and standard of food was poor, the bars close to the hotel wanted your custom and were much more welcomming. The aparments do now have air conditioning this was a god send, having searched the apartment for how to work it and given up, we went to the pool got chatting with other guests to be told that you go to reception pay 20 euros and collect your remote, at the end of your holiday you take your remote back and get your 20 euros back, information you really need when you check in. But all in all a good 3 star complex for a relaxing family holiday. Also life gaurds were brilliant and very dedicated.